Wanafly Aviation are Dave and Amanda Lord. 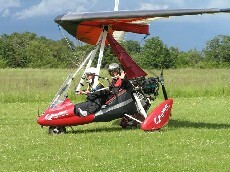 They operate a microlight flying school in France. Today we chat about their background in aviation and how they came to set up their school in France.